Jigsaw Puzzle Diamond Collection are one of the most accessible types of entertainment that help develop logic, attention and memory. 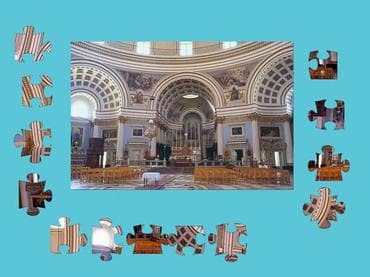 Large jigsaw puzzles are a serious challenge and take considerable time to complete. At the beginning of each level, puzzles are mixed and rotated at different angles. All family members will like Jigsaw Puzzle Diamond Collection - in fact, you can play it together. You can start right now by downloading the game for free! 32 Animals Jigsaw, 9 Arts Jigsaw, 95 Child Collection Jigsaw, 54 Cities Jigsaw, 73 Landscapes, 13 Extreme Jigsaw and 74 Best Jigsaw. Free Game features: - Diamond Collection - total 400 quality Jigsaw Puzzles; - Difficulty levels from Easy to Hard; - Easy creation of custom levels from user pictures; - Interactive hints. If you have questions about Jigsaw Puzzle: Diamond Pack game, please contact us using this form.